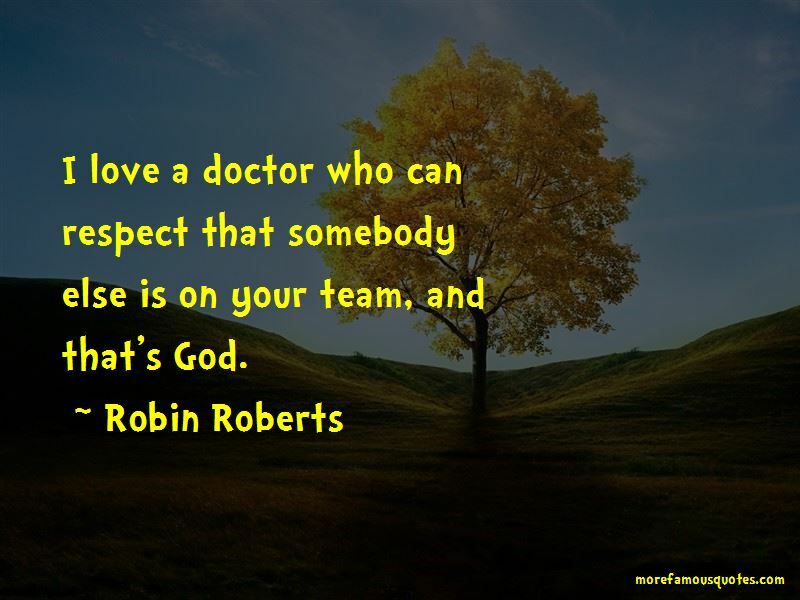 Enjoy the top 46 famous quotes, sayings and quotations by Robin Roberts. Everything's the same; I'm living with cancer and it's not going to stop me. But until you really test yourself and challenge yourself, I don't think you quite know. Every now and again I just really have to have that steak or lamb chop. But yeah, B.C. - before cancer - I would eat red meat probably three or four times a week, easily. I am convinced that the amount of red meat I contributed to it. I've still got it. I refuse to lose. I never slept when I lost. I'd see the sun come up without ever having closed my eyes. I'd see those base hits over and over and they would drive me crazy. My treatment ended in March/April of '08. It wasn't until the end of that summer that I started to feel I wasn't depressed. Even when I went on vacation to Saint Lucia, I was kind of depressed, even though it was such a beautiful place. Venture outside your comfort zone. To stop growing is to stop living. 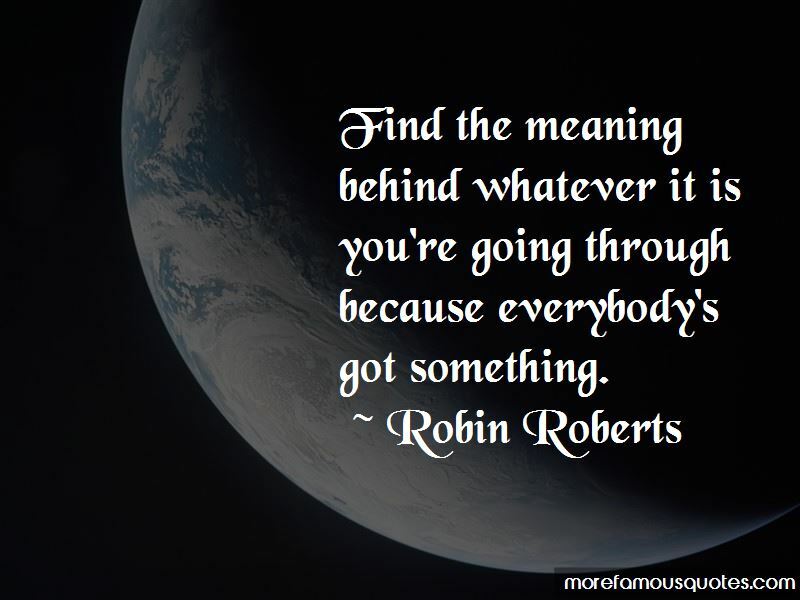 Find the meaning behind whatever it is you're going through because everybody's got something. I have never been happier, or healthier, than I am right now. At one point, we were all fearful. But as you get older, it's the things you don't do that you regret, more so than the things you do. When fear knocks, answer. I was brought up with the 3 Ds: Determination, Discipline and Da Lord. 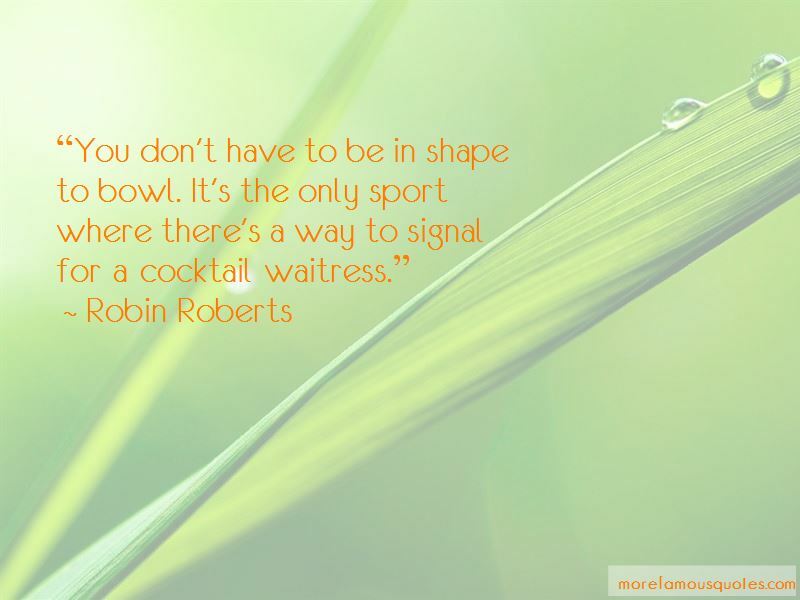 Want to see more pictures of Robin Roberts quotes? 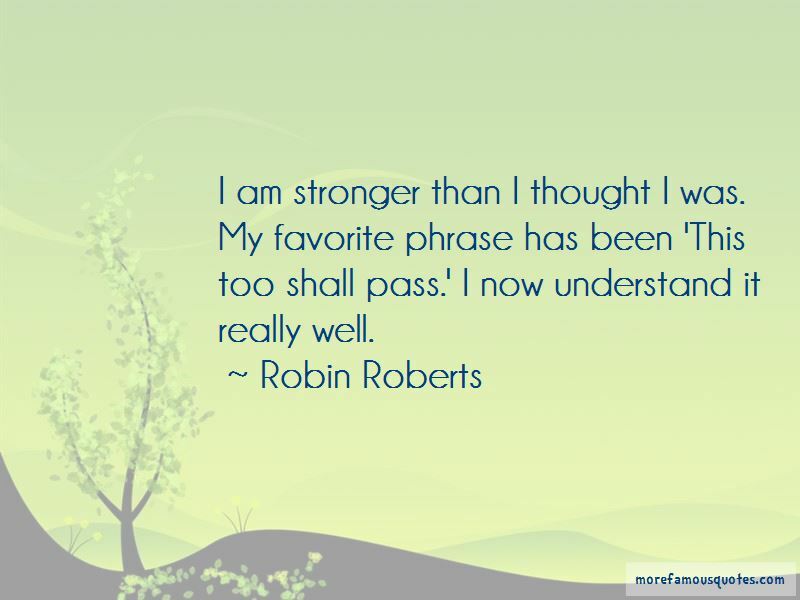 Click on image of Robin Roberts quotes to view full size.